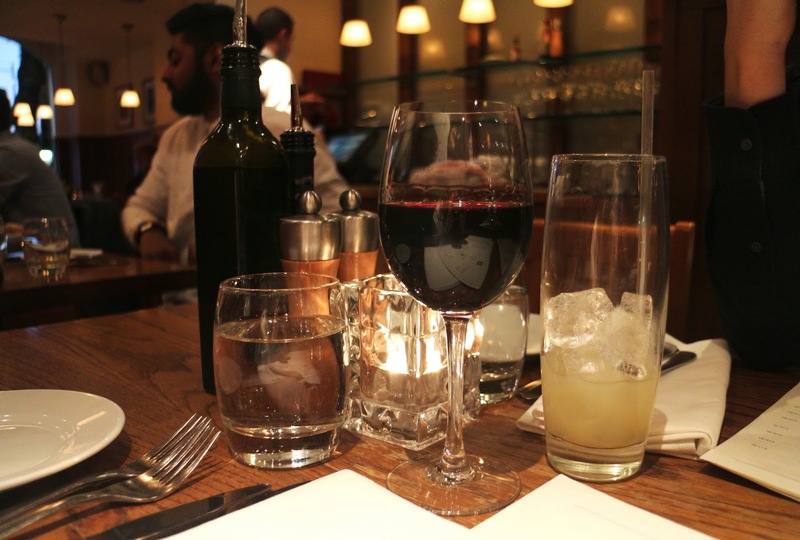 I've never done this sort of thing before on here but me and Oli go out for dinner quite a bit and I thought why not share it on the blog. The Wine & Dine series will feature some nice restaurants around Nottingham and we're kicking it off with Piccolino today. Piccolino is an Italian restaurant located in the lace market around the corner from the Nottingham Contemporary. Personally I'm a huge fan of Italian food. Who doesn't love a bit of pasta. Being a student I feel like pasta is the one thing you think you've mastered. It's nice to go out and get some quality pasta though. And don't forget the expensive parmesan cheese. I'm also a lover of wine. My favourite is fruity red, nothing too bitter. So what did we get? When we go out, we like to go all out. We started off by getting some starters. 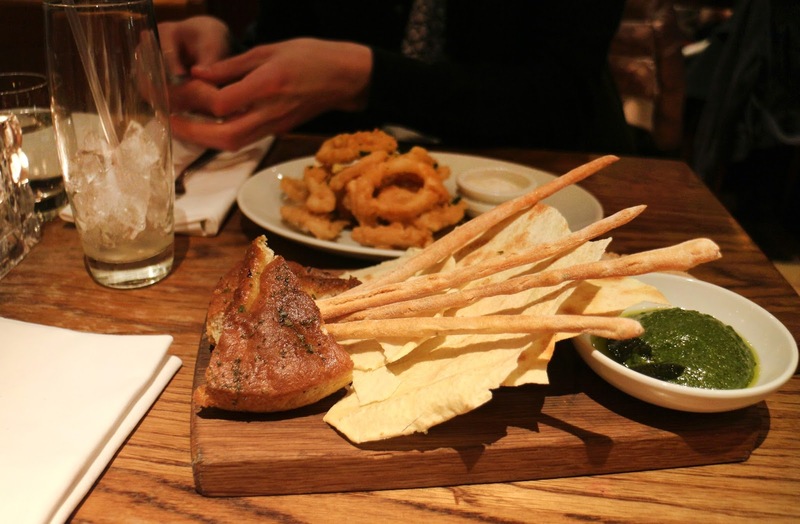 I chose the Pane Della Casa, which is essentially a bread board with pesto which was mind blowing. Normally I can just about tolerate pesto. I can have it in small portions and I'm never really persuaded but after trying this one I was converted. Why don't all pestos taste this delicious? Oli got some breaded calamari. The first time I tried calamari I noticed that it can be chewy but after going to all these restaurants you realize it's not done right if it's chewy. The calamari that we ordered was amazing, almost fluffy. For the main event Oli got a Carbonara which looked very fancy. I was kinda sad I couldn't try it as it had bacon. For my main I ordered a Spaghetti Scoglio which was a sea food dish. That also looked very fancy, and tasted even more fancier. I finished feeling very full and very happy. You know it's a good dinner when you feel sad you can't eat all of it because you're too full. So the dinner was a success. I wore too high heels though and Oli had to help me walk back to the car but hey at least I liked what I wore. The wine didn't help too.